Idaho had a surprising run to a bowl win in 2016, and hopes to do it again this year. The big story: After a brutal first two years, Petrino has turned the program around — just in time for Idaho to become the first school in NCAA history to drop down from the Football Bowl Subdivision (formerly Division I-A) to the Football Championship Subdivision (formerly Division I-AA), and from the Southern-dominated Sun Belt, a poor geographical fit, to the Northwest-centric Big Sky. That happens in 2018. Idaho's unexpected success last year was due to a potent offense that scored at least 30 points seven times in the final 10 games, more than doubling that in a nationally televised 61-50 takedown of Colorado State at the Famous Idaho Potato Bowl in Boise, as Christmas came to Vandals fans three days early. 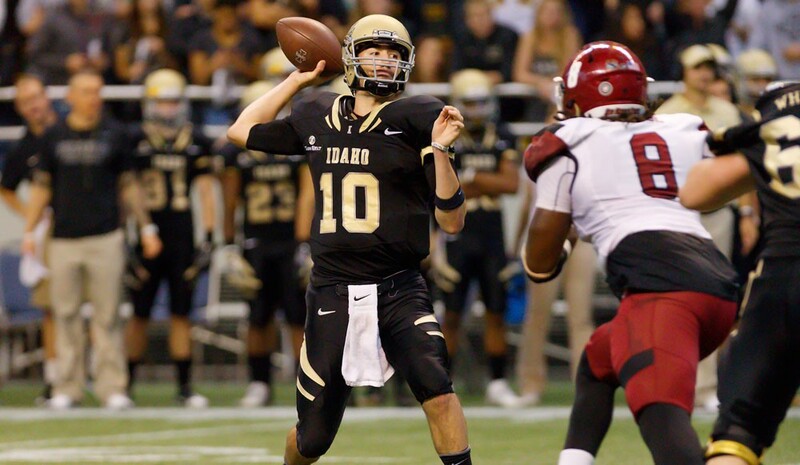 Senior QB Matt Linehan is a legitimate pro prospect, but graduation took a serious toll on his supporting cast — the Vandals lost four of their top five receivers and three starters on the offensive line. RBs Isaiah Saunders and Aaron Duckworth combined for close to 1,500 yards and 14 touchdowns last year. A defense that gave up more than 31 points per game suffered big losses on the line and in the secondary, where all four starters are new. The line still features two seniors, pass-rushing DE Aikeem Coleman and DE Zach Cable, son of Seahawks offensive line coach and former Vandals head coach Tom Cable; the strength of the unit is junior LBs Kaden Elliss, Ed Hall and Tony Lashley. The big game: The Vandals have never won a Sun Belt title, and that's still unlikely in their eighth and final opportunity. But a home victory over conference favorite Appalachian State on Oct. 14 could change that narrative. It would be an upset: The loaded Mountaineers placed a dozen players on preseason all-conference teams, and in Taylor Lamb have a QB who can match Linehan throw for throw. Aug. 31 vs. Sacramento St.
Oct. 14 vs. Appalachian St.
Nov. 25 at New Mexico St.
Dec. 2 at Georgia St.